An injury often results in financial concerns, and sometimes an injured party who has a pending personal injury claim decides to file for bankruptcy. In the case of Chapter 7 bankruptcy, even though the plaintiff remains the injured party, he or she is no longer considered the plaintiff. Instead, the party of interest becomes the bankruptcy trustee acting on behalf of the bankruptcy estate, who assumes complete authority to pursue the litigation and negotiate settlement. Any good bankruptcy attorney is well aware that any settlement that is reached is first subject to the approval of the bankruptcy judge. Creditors must be paid in full and if there is no surplus award after all debt is paid off, the injured party does not have the ability to object to the amount settled upon. Bankruptcy trustees are not often motivated to push for maximum recovery, as their goal is to liquidate assets and pay off creditors, not to compensate injured parties. To obtain some form of compensation, the original injured plaintiff must convince the judge that there should be enough recovery to pay all creditors in full, with some surplus payable to them. This is often quite difficult to accomplish. Additionally, when a Chapter 7 bankruptcy case is filed, medical expenses incurred after the filing date are not dischargeable in the bankruptcy. The bankruptcy trustee typically attempts to minimize payment to medical providers in order to maximize payment to creditors, and has little incentive to negotiate a release of personal liability for the injured party, leaving him on the hook for expenses incurred after the commencement of the bankruptcy. Chapter 13 bankruptcy, also known as reorganization, is generally the best solution for a personal injury plaintiff. The plaintiff not only will be protected from all collection activities by what is known as an automatic stay, but the personal injury action will not be turned over to a bankruptcy trustee as in chapter 7 bankruptcy. In chapter 13, the debtor is able to choose and retain an attorney, who is then approved by the bankruptcy court to represent both his interests and those of the Chapter 13 trustee. Once personal injury counsel has been approved by the court, the case proceeds normally, with decisions being made by the injured plaintiff and his personal injury attorney; litigation decisions do not normally require court approval until a proposed settlement has been reached. When the client and attorney agree that an offer is acceptable, the bankruptcy court must approve the acceptance, along with the fees of the personal injury counsel (bankruptcy judges commonly approve contingency contracts and fees unless they are found to be unfair). 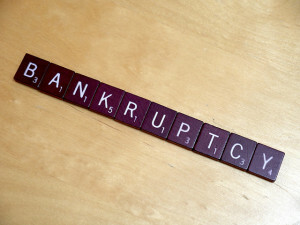 The bankruptcy court will then distribute the remainder of the proceeds between the debtor and the bankruptcy estate. Personal injury claims are considered assets in a bankruptcy, just like cars, furniture, homes, and other personal property, and failure to disclose the claim may well lead to the loss of any recovery to which an injured plaintiff may have been entitled. Ironically, many claims lost for failure to disclose would have been exempt anyway had the debtors listed them on their bankruptcy schedules in the first place.